We were discussing the similarity of the technique used in creating these two "trick shots" which reveal simultaneous action from The Man Who Knew Too Much and Vertigo at the WWH Facebook page, and it got me thinking about other images and juxtaposed shots that Hitchcock repeated in his films—kind of like the second Mrs. De Winter's father who liked the paint the same tree over again. 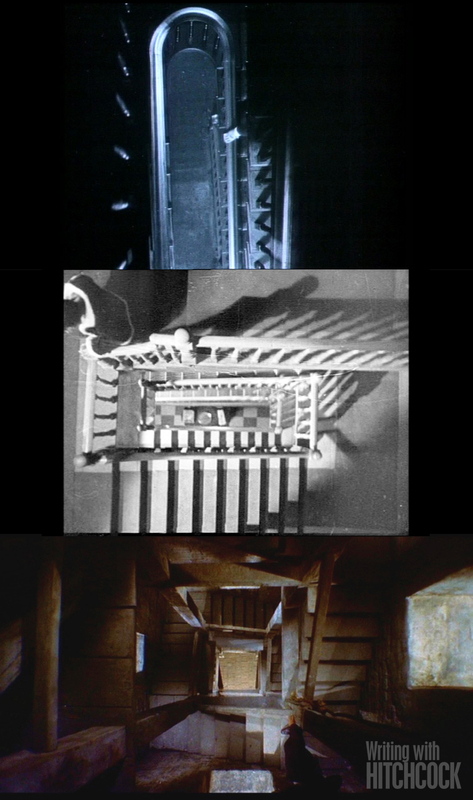 Of course Hitchcock used stairways so very often, but the framing he used in The Lodger , Blackmail , and Vertigo were strikingly similar. 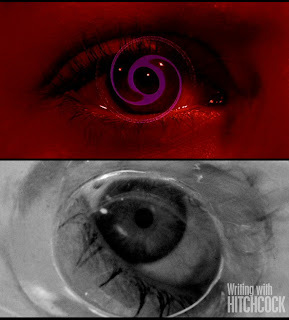 Designer Saul Bass had a hand in both the Vertigo title sequence and the shower sequence in Psycho , but it was a design that Hitchcock chose in two of his key films. 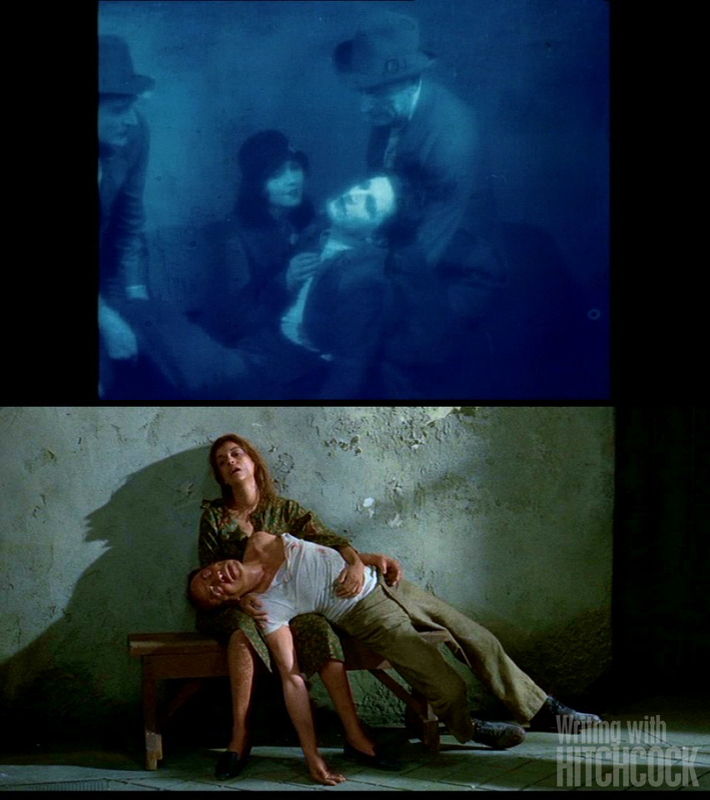 The Catholic Hitchcock repeated variations of his own Pietà, but the images in The Lodger and Topaz are most similar. 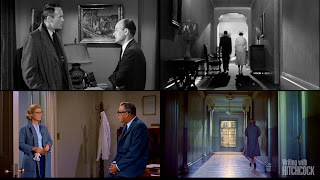 As Hitchcock's films progressed in the 1950s he explored more deeply the frailty of the human psyche. 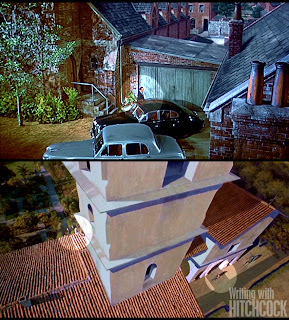 Notice how these two scenes in consecutive films—The Wrong Man and Vertigo —are nearly identical. 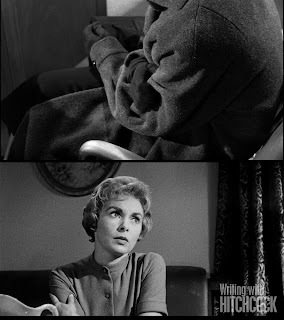 Here a desperate Manny goes into Dr. Banay's office to ask about Rose's condition. Dr. Banay leans back on his desk, arms crossed, explaining the healing will take time. 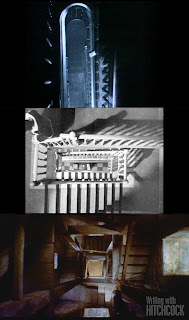 Later Manny departs, walking away from the camera down the long corridor of the sanitarium. Below, an equally desperate Midge goes into the office of Scottie's doctor and departs down a similar corridor after telling the doctor Mozart isn't going to help. In each of these scenes from The Wrong Man and Psycho as the discussion turns to someone being institutionalized or being "put someplace", both Rose Balestrero and Marion Crane begin clutching and rubbing an arm. 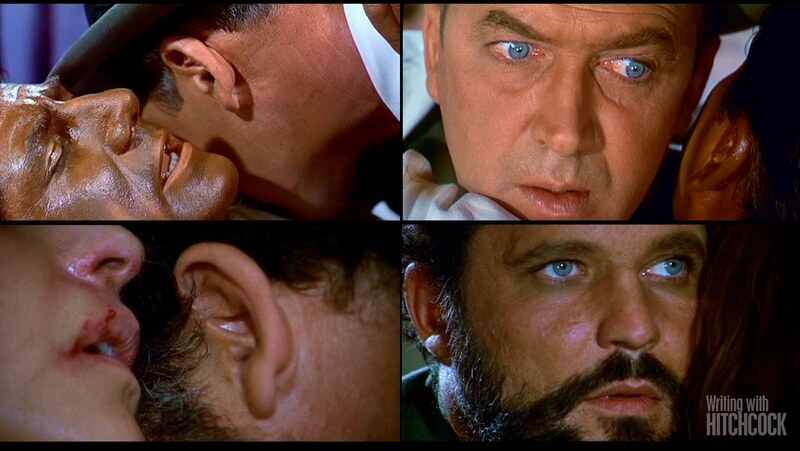 In both of these scenes from The Man Who Knew Too Much and Topaz , the listener is receiving information he'd probably rather not have heard. 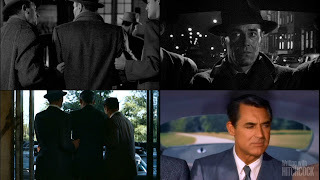 It doesn't matter whether it's the police or a couple of henchmen, on the front steps of your own home or through the lobby of a New York hotel in broad daylight, Hitchcock knew that being taken into a car against your will could be equally frightening and filmed these scenes from The Wrong Man and North by Northwest in much same way. Then, of course, there's the way Hitchcock filmed kissing scenes, but we covered that already!